Before the app finds itself on the App Store, it has to get through a review. 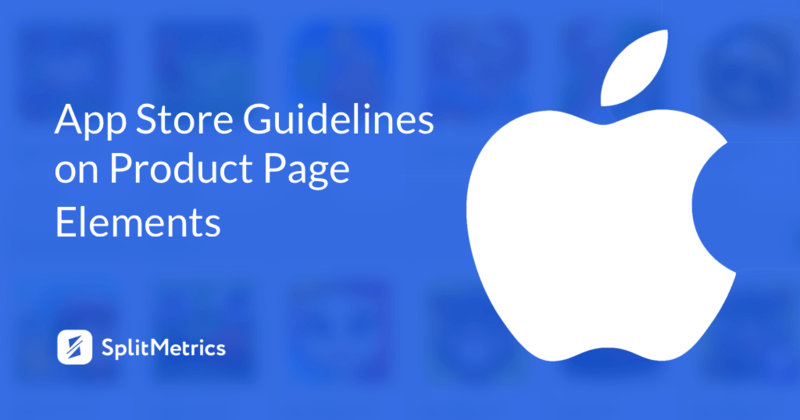 For the process to be completed quickly and successfully, Apple provides requirements for each product page element. In this guideline, we’ve gathered all the information you need to consider before submitting your app to the App Store. The App Store is an overcrowded place. As of 2018, there are over 2 million apps out there, which makes it quite hard to be discovered, let along downloaded. True, it can be challenging. But not impossible! Your discoverability chances grow once you give your app a good (from the App Store perspective) name. The title with the most relevant keywords included has the biggest impact on the App Store’s algorithm. Moreover, along with the icon and the first two screenshots, the name contributes generously to the first impression as this is one of the first things your potential user learns about your app. Exclude generic terms, popular app titles, special characters (e.g. #, @), prices, as well as celebrity names, trademarked terms and other protected words. Placed right below the title, a subtitle is a short phrase which brings additional information on your app. It complements the app name by communicating the purpose and value of your product in details. Subtitles have to comply with App Store’s standard metadata rules. Avoid misleading or false product claims or inappropriate content, and never exploit competitor’s apps by any means. 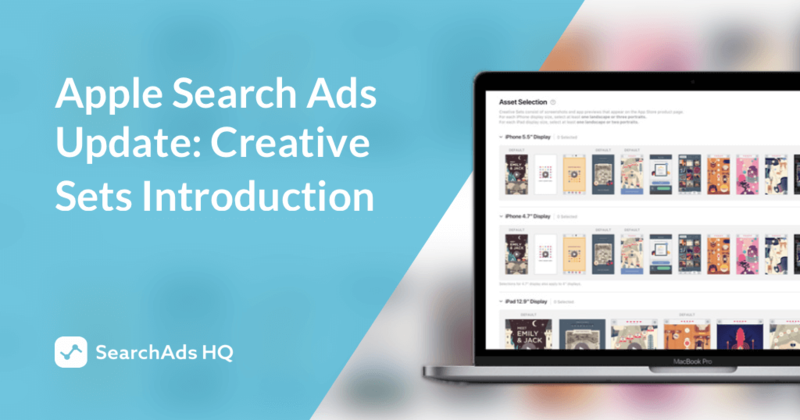 To leverage your app name and subtitle in the best possible way, use relevant and descriptive keywords, and don’t include those already used in your title into the subtitle. The Apple App Store algorithm will only count them once. Users see this element in App Store search results, even before they find themselves on the product page. The visibility of an icon places extra importance on how it should look like. The App Store requires that app publishers provide icons of different sizes for every device they support. A large icon is meant to be used on the App Store, while small icons are designed to be displayed on the Home screen and throughout the user device after the app is downloaded and installed. Shape: square with no rounded corners. It goes without saying, images win the struggle with text for user attention. 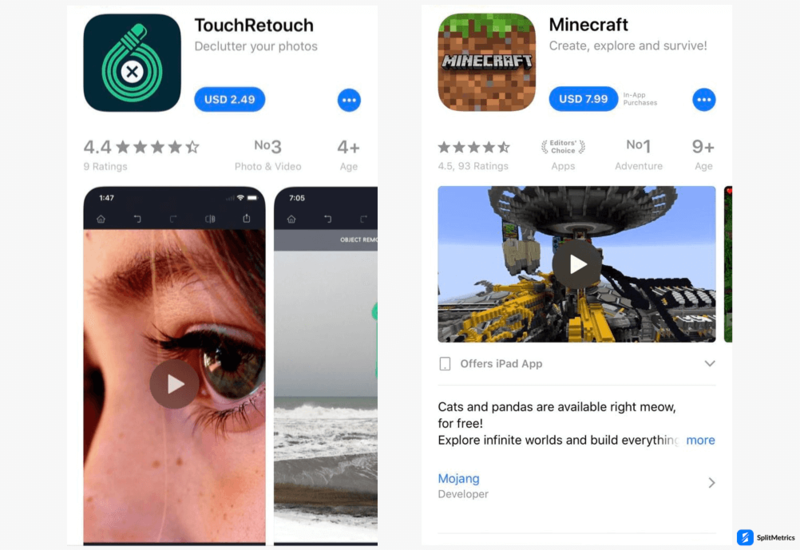 Screenshots are another visible product page element which contributes to your app’s impressions, as they may appear in App Store search results. App Store Connect requires to upload at least one app screenshot, while the upper limit is 10. Depending on the image orientation – portrait or landscape – the first 1-3 screenshots will be seen in search results, provided there’s no app preview added. 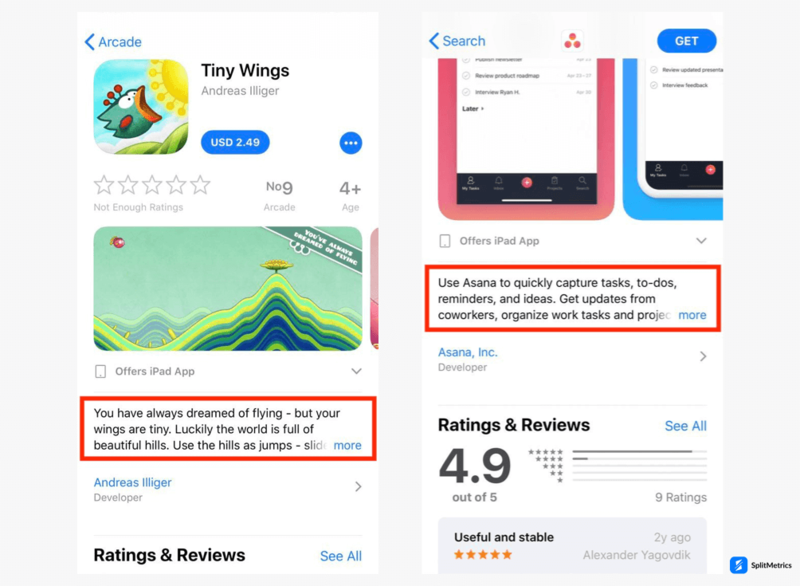 Thus, Apple recommends using the first three image gallery visuals to convey the app’s purpose and value, while the rest of them may point out your distinctive features and complement the message. The family of Apple devices is big, and App Store creative assets should fit every size. If your app looks different on various devices, submit an individual set of screenshots for every size. Alternatively, for apps which are identical across multiple devices and localizations, you just have to provide screenshots of the higher resolution required for iPhone and iPad. The platform will automatically resize the images so that they fit the entire Apple family. For iPads: upload 12.9-inch iPad Pro (2nd generation). Starting from March 2019, all the screenshots will have to support iPhone XS Max and 12.9-inch iPad Pro (3rd generation), which will be automatically scaled down for smaller devices. Users want to see what they would get with an app. Consequently, it’s vital that the publisher use app previews to demonstrate the functionality, outstanding features and interface of the app. The visual demonstration can be reinforced by the sound effects of your UI. Never demonstrate protected content without licensing rights. Similar to screenshots, app previews can automatically scale down to smaller-sized devices. So, just submit a higher resolution video and the Apple platform will resize it. The first sentence (about 3 lines) of the description counts the most. It’s proven that less than 2% read the extended description which goes after tapping the “read more” button. So start with an attention-grabbing sentence that pitches users and clearly sets out what the app is intended for. A short paragraph at the beginning should be followed by an informative, comprehensive yet engaging summary of your app’s functionality and main features. Use the allowed space – up to 4,000 characters – to explain how your app differs from competitors and why users should tap “Get”. Let users know about your awards, if any, but better do it at the end of the description. The promotional text goes before the app description and is limited to 170 characters. A huge advantage of this product page element is that it can be changed without having to upload an updated app version. Consequently, it’s a good place to share messages that are limited in time, such as sales, announcements of new features, events or content and more. This section is intended to describe the updates introduced into the app. 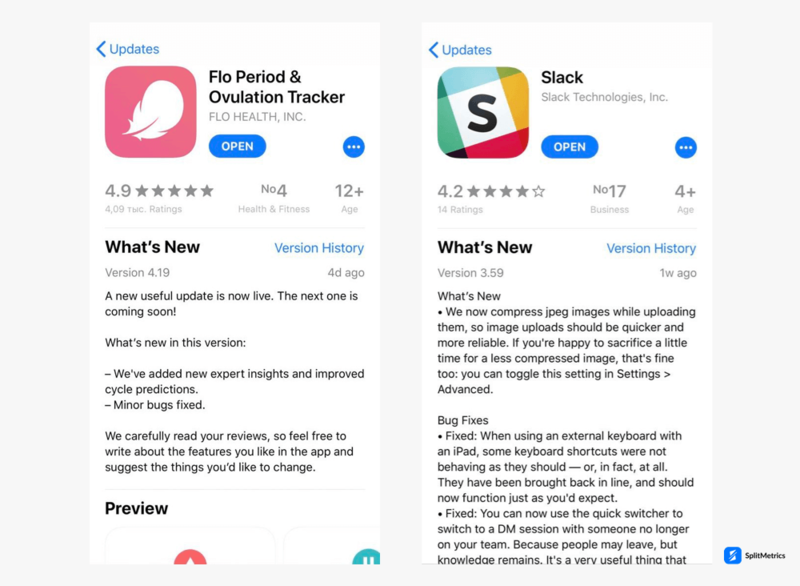 Starting from April 2018, the text in “What’s new” is subject to the App Review process by Apple, just as other product page elements. Thus, developers can change the contents of the section only after the new app version is submitted to the store. 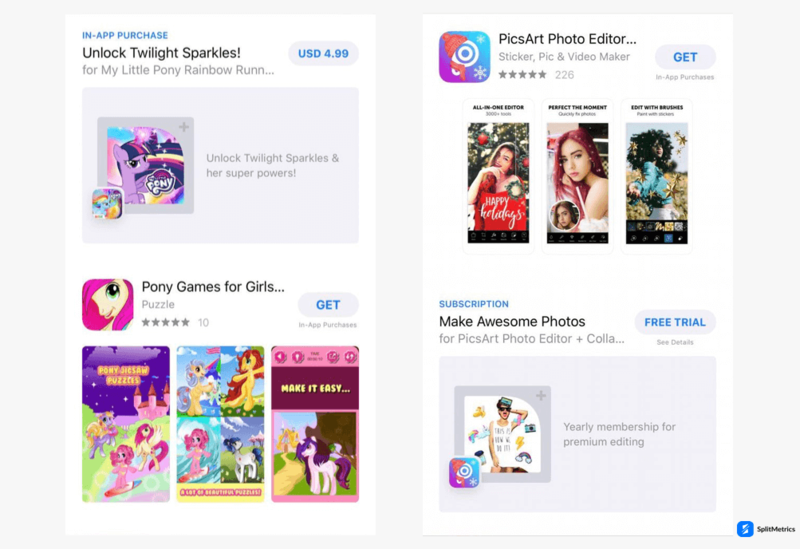 Apple requires that subscriptions or additional purchases be clearly indicated in the app’s metadata – screenshots, app previews or description. If you do provide paid offerings, you can choose to promote them, which can drive downloads of your app. The thing is that if the user comes across a promoted in-app purchase and decides to buy it, they will be suggested to download and install the app first (if it hasn’t been done before). Only after the user finds themselves in the app can they proceed to make a transaction. Overall, the in-app purchase is a good channel to promote content which falls into one of the four types – Consumable, Non-Consumable, Auto-Renewable Subscription and Non-Renewing Subscription. 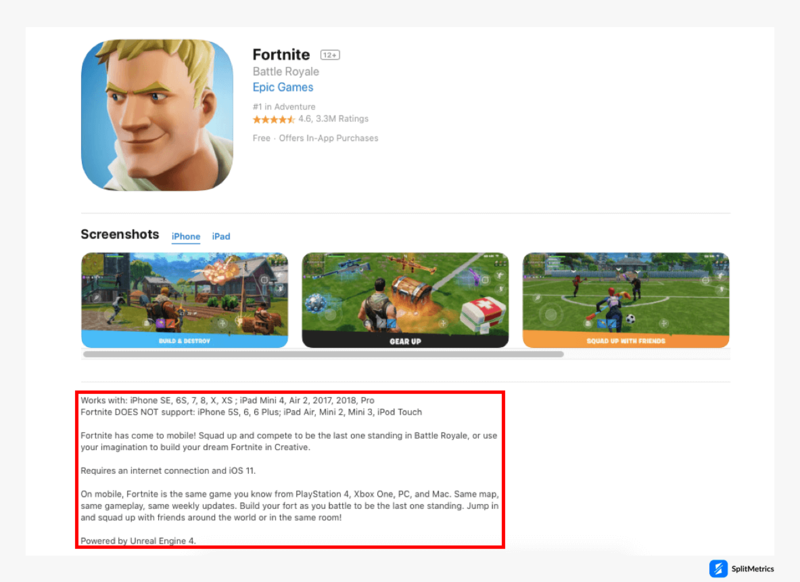 On iOS 11 and later, in-app purchases are visible to users in search results, in a separate section on a product page, and can be featured on the Today, Games, and Apps tabs. On a product page, the App Store enables to promote up to 20 in-app purchases at a time and present them in any order. The store also allows to change in-app purchases any time, thus, you can showcase the features and services which are likely to convert and bring more value to your business at this particular moment. Each in-app purchase should come with a promotional image, a display name, and a description. Below you can find Apple’s requirements for the 3 metadata elements. 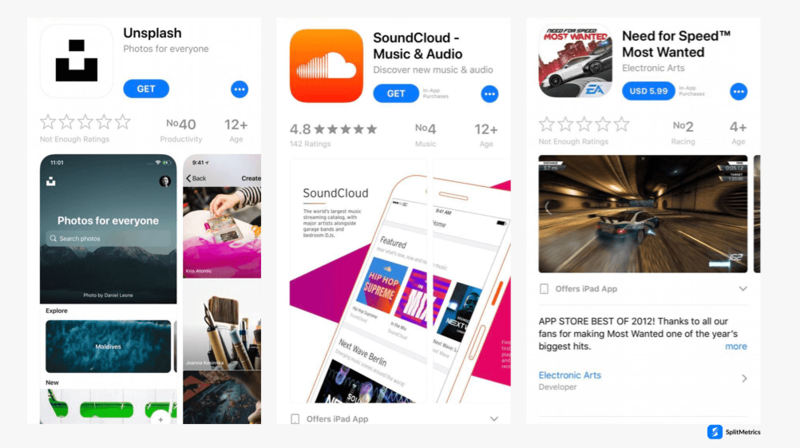 Don’t place important details in the lower left corner: this is where your app’s icon is added to the promotional image when the in-app purchase is displayed in search results. Auto-renewable subscriptions should have the duration specified. Outline the benefits of the offering, be concise and descriptive. Find the in-depth guideline on the Google Play product page elements here. 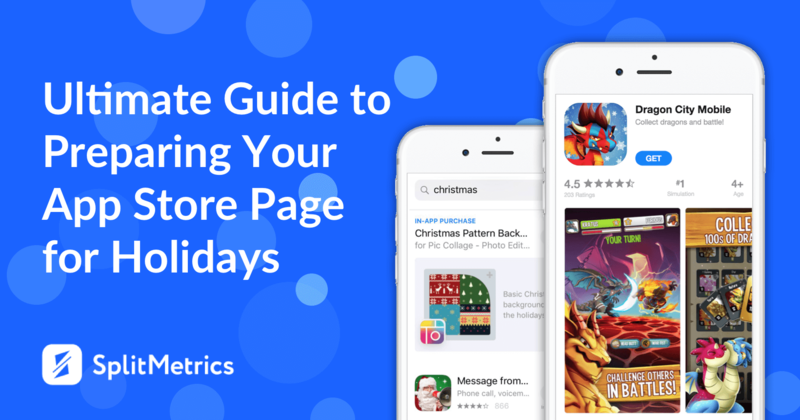 The SplitMetrics platform helps app marketers optimize their App Store product page elements. Run A/B tests to arrive at the variation that will help you reach your ASO KPIs.